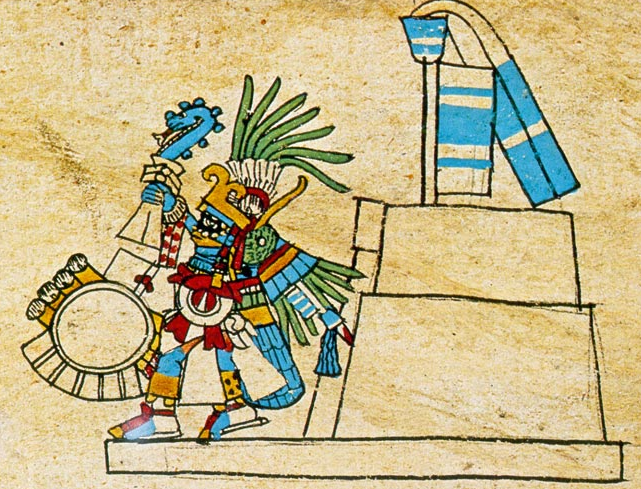 The festival of Panquetzaliztli is celebrated with dance, music, and a foot race. An effigy of Witzilopochtli is constructed from amaranth flour and agave nectar, and consumed after the race as an integral part of the festivities. Tamales are also made and eaten, and mock battles in honor of the season are waged between students of rival telpochkallis (schools). Small paper banners are set up in homes. During the entire twenty days, gratitude is shown towards all trees and plants for providing fruits, grains, herbs, firewood, etc., and they are adorned with decorations in the form of painted banners fabricated from strips of papel de amate (bark paper). These liturgical acts that would serve to evangelize the natives were carried out from December 16 to 24 in the atriums of the temples. Among these ceremonies it was customary to fuse passages and scenes representative of the Nativity. Taking advantage of the inclusion of gunpowder to Mexican lands, the celebrations were illuminated with sparklers, rockets; as well as the piñatas, songs and carols. However, this way of Christianizing the natives of Mexiko-Tenochtitlan was not completely unknown by the settlers. While the Spaniards and part of Europe were waiting with allegory for the birth of Jesus, the inhabitants of Anahuac (Valley of Mexico) were preparing simultaneously to receive the Sun Child. How did such a similarity to Catholicism occur? Indeed, every year, during Panquetzaliztli a feast (mitote) was celebrated in honor of Witzilopochtli, the Sun Child, to solemnize his birth on the solstice. According to Amaranta Leyva, “the ceremony began with a race led by a very fast runner who carried in his arms a figure of Huitzilopochtli made of amaranth and wearing on his head a blue flag (pantu) (texuhtli)”. 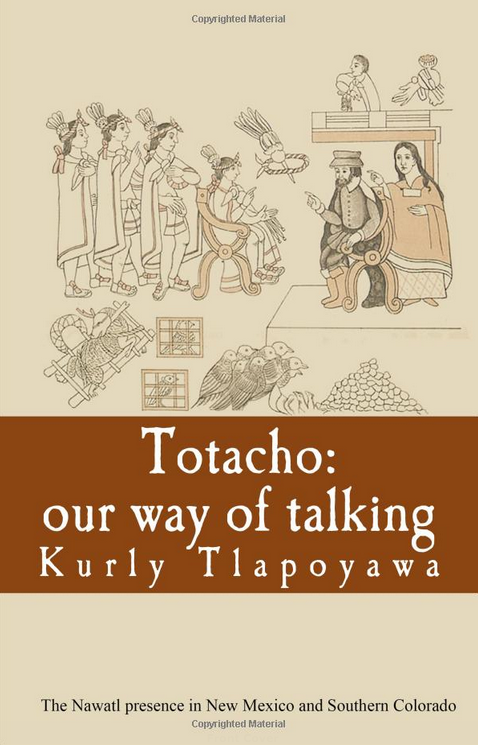 It started in Huey Teocali (great house of the sun) and reached Tacubaya, Coyohacan (Coyoacán) and Huitzilopochco (Churubusco). Behind the carriers of this image ran a crowd that had been prepared with fasting. During the Winter Solstice (December 21), the sun had already crossed the celestial vault and had died on December 20. El Niño Sol went to Mictlán (Place of the Dead) where it was transmuted as a hummingbird to return to the origin. Just at that time, other ceremonial acts occurred: the Mexika installed banners of paper on all the fruit trees and edible plants of the season. On the day of the party, all the trees were cured and pulque (meoctli) and tortillas (tlaxcalli) were offered, as a token of gratitude for what was harvested during the year. Historians and specialists in the prehispanic culture of Mexico, highlight that this cult is an analogy with the posadas at the time of breaking the piñata. In his memorials written in 1541, Fray Toribio de Motolinía narrated that for the Christmas celebrations, the natives adorned the churches with flowers and herbs; They scattered sedge on the floor, made their entrance dancing and singing and each carried a bouquet of flowers in his hand. In the eighteenth century, the celebrations took more force in the neighborhoods and in the houses and the religious music was replaced by the popular song, but they did not stop being realized in the temples. Of course, another important aspect of this celebration is the use of Cuetlaxochitl (poinsettias) in ritual and decoration. This plant blooms in the wintertime, and its flowering is seen to represent the rebirth of the sun. The bright red petals representing the preciousness of the blood that is offered to Witzilopochtli. Interested in learning more about Mesoamerican ritual and cosmovision? 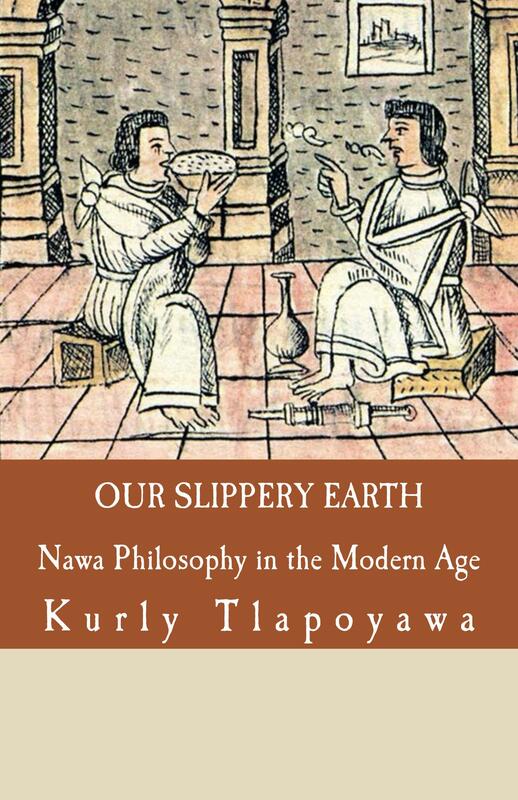 Check out our new book “Our Slippery Earth: Nawa Philosophy in the Modern Age” available on Amazon.com. In it, I discuss basic themes of Nawa philosophy, and how these themes can be practiced in the modern age.